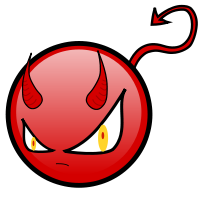 The old saying goes, “There is no rest for the wicked.” I’m not so sure about that, but I do know one thing: there is sometimes no resting place for the wicked. Two examples: one from a great Greek playwright, the other from an aborted burial in Rome last week. The imaginary funeral took place in ancient Thebes, the work of Sophocles. His almost 2500-year-old play Antigone focuses on a sister’s effort to bury her brother, foreshadowing the funeral drama that just played out in The Eternal City, as Rome is known. The recently frustrated burial rites were those of a 100-year-old Nazi named Erich Priebke, the murderer of 335 Roman civilians as pay-back for a partisan attack near the end of World War II. Almost no one wanted those funerals to happen, an eternal dilemma for the defeated bad guys of history. Both of these men were considered enemies of the state at the time of their deaths. Antigone’s brother Polynices had led a rebellion against the Theban leader, who also happened to be his brother Eteocles. Although the latter’s side was the winner, both brothers died in the conflict. Eteocles was honored as a fallen hero, Polynices left unburied in disgrace, fair game for dogs and vultures. Then there is S.S. Captain Priebke. In 1944 the fascists who still occupied Rome were losing their grip. An S.S. police battalion of ethnically German Northern Italians aligned with the Nazis was attacked by 16 members of the Italian “Patriotic Action Group.” A bomb was placed in a garbage cart along their marching route. Twenty-eight members of the regiment died immediately in the explosion and ensuing gunfire, along with two civilians, one of whom was an 11-year-old boy. All of the partisans escaped. The date was March 23, 1944. The S.S. commander determined that the deaths in the ranks of the military column called for reprisal at a ratio of 10 Italians for every regiment member who died. Hitler reportedly wished this to be completed within 24 hours, by which time there were 33 dead. The Italian victims included some people already in Nazi custody, 57 Jews, as well as additional civilians needed to create the “correct” ratio. A total of 335 were ultimately killed individually by pistol shot in the back of the head as they kneeled with their hands tied behind their backs, their bodies disposed of in a group (without proper burial rites) until they were exhumed over one year later. All of this occurred in the Ardeatine Caves outside of Rome. The two S.S. officers who carried out the massacre were Erich Priebke and Karl Hass, who were eventually arrested. In 1946 Priebke escaped from a British prison camp in Northern Italy and made his way back to Rome, where he was supplied with false identity papers by Bishop Alois Hudal at the Vatican. He then fled to Argentina, living there freely for 50 years until extradited to Italy in 1995 and ultimately convicted as a war criminal. At the time of his death on October 11, this very old man was residing in Rome, serving his time under house arrest. But now, it seemed, no one wanted any part of his remains. The Vatican (Priebke was Catholic) refused to permit a funeral in any Roman Catholic Church. Argentina, where he wished to be buried beside his wife, refused that request, as well. Only the Society of St. Pius X, a reactionary Catholic splinter group that has been associated with Holocaust denial, attempted a funeral before protesters intervened. 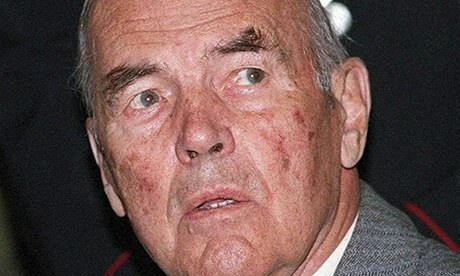 For the record, Priebke never admitted guilt or responsibility for the murders, nor did he ever apologize. If you are a reader of the Greek dramas of antiquity and can set aside the Nazi connection, all of this might sound familiar. So should the ensuing dispute between those who sought burial and those who wished to prevent it. In Rome, it was the opposition to the funeral that carried the most weight, which included the city government, the Roman Jewish community, and interested parties like the Vatican. In Sophocles’s play, the state was represented by Creon, an ally of Eteocles, who forbade burial of Polynices on punishment of death. 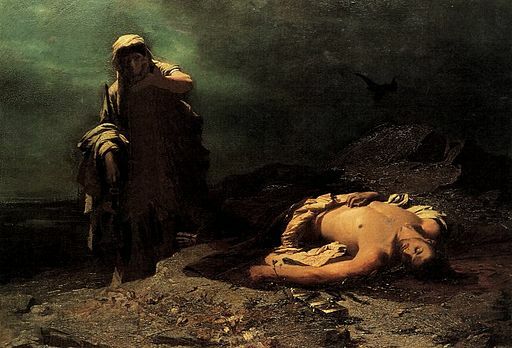 Only Polynices’s sister Antigone protested and decided to take matters into her own hands, by burying her brother so that he might go the Greek version of the afterlife, known as the Underworld. In so doing, she felt herself to be honoring the gods as well as her brother, and showing respect to his body lest it be savaged by birds and wild animals. Priebke’s defenders, virtually all on the extreme political right, sound a bit less noble than Antigone, at least by news reports. Others fear that the dead Hitlers of the world, if properly buried, will become tourist attractions if not pilgrimage sites, especially for those who share the deceased’s point of view; in effect, their final resting place morphing into a religious shrine for some sort of misguided, quasi-religious veneration. But again, my friend Joe had an interesting take. His fear is that someone will find Captain Priebke’s cemetery headstone (at this writing a secret burial is planned) and desecrate it. I should emphasize, Joe is no Nazi, but simply thinks that if we consider ourselves civilized, then that civility should extend even to the very worst of us. It is also worth remembering that history is written by the victors, and that the identity of the good guys and the bad guys is very much determined by who writes that history. Priebke argued in court that the partisans who took on the SS battalion were terrorists and therefore it was they who should be blamed for all of the consequences that followed, including the retribution by the Nazis. Think of the posthumous honor that would have come the way of the World Trade Center bombers, were their supporters to have achieved an overthrow of the U.S. government. Still another point of view has to do with the fact that we are talking about dead villains, not living ones. Presumably, they are not harmed by the lack of a proper burial (although Antigone would argue otherwise, because no afterlife would then be possible). By the same token, the one who has passed away doesn’t benefit from getting an appropriate disposal of his mortal remains, unless it is thought necessary according to the individual’s religion. Obviously, those who definitely do care about the carcass are the people left behind: the loved ones of the deceased (if there are any), friends, perhaps some of his co-religionists, and people who are sympathetic politically (including the Society of St. Pius X). Most of us know what it is like to lose someone we care about, to go to funerals, to engage in grieving, and various acts of remembrance, including visiting grave sites. On the other hand, we also know that some deaths seem more than usually deserved. That category would certainly include child abusers and rapists, as well as people like Mr. Priebke. Priebke made his own desires clear: he wanted to be buried in Argentina, his adoptive homeland, next to his wife. How much should that matter? Indeed, how many of us even know whether those we care about do themselves care what happens to their bodies after they die? If they haven’t purchased cemetery plots or informed us of what to do after they’ve departed, we can only guess. Some might expect us to regularly visit their gravesite. Others might think that to be a waste of time. But most of us, who, after all, will eventually join the ranks of the bygone, probably hope that an occasional kind thought by someone left behind would be nice. But here, in Captain Erich Priebke, we have a man who never acknowledged wrongdoing, never repented, never tried to comfort the relatives of those he afflicted, and apparently never felt guilt or shame. And, never gave his victims a proper burial. Were you or I living in Rome, what might we have done, or wished to see others do concerning the disposition of his body? I imagine that the answer to that question says more about us than it says about Mr. Priebke, who was, at the time of his death, the oldest convicted war criminal in the world. Jesus taught that we should love our enemies and do good to those who hate and despise. He would want us to give men like Captain Priebke a proper burial. Perhaps I’m wrong, but I consider burial as a human right. Burial rites vary with cultures and religions. A simple burial in an unknown location in an unmarked grave would solve the problem of desecration or veneration. Thank you, Rosaliene. The most recent news reported from Priebke’s lawyer is that he expects the body to be buried in a secret location, but that it will become the object of “pilgrimages.” Presumably, that means that some sympathizers will be informed of the location. I found this a fascinating read. Definitely food for thought.